Cosecha 146 is blended exclusively with tobaccos grown during the Plasencias' 2011–2012 harvest. 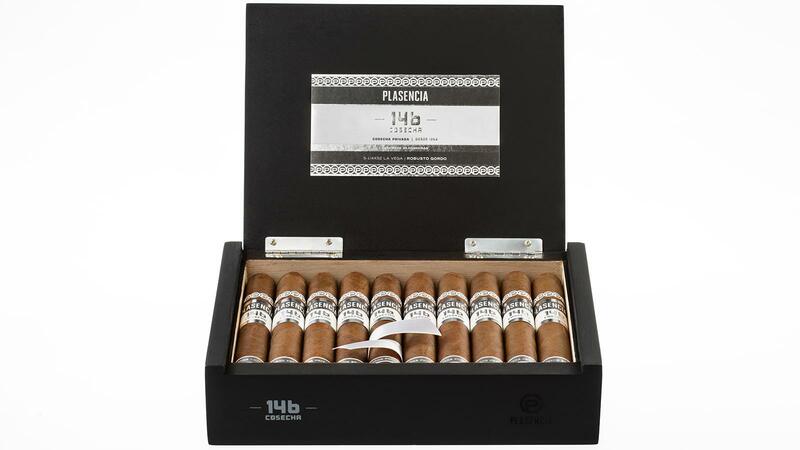 As part of a new series that will showcase harvest-specific tobaccos, Plasencia Cigars has announced the launch of Plasencia Cosecha 146, a cigar blended exclusively with tobaccos grown during the 2011–2012 harvest on the Plasencias’ farms in Nicaragua and Honduras. The cigars began shipping to U.S. retailers this week. All of the tobacco in Cosecha 146 is from Criollo ’98 seed. According to Plasencia, 2011 marks 146 years since the family’s inaugural harvest. All of the tobacco in Cosecha 146 is from Criollo ’98 seed. The wrapper comes from the Jamastran Valley in Honduras, while the binder comes from Estelí, Nicaragua. The filler is a mix of tobaccos from Nicaragua (Condega) and Honduras (Olancho and Jamastran Valley). In Spanish, the word “cosecha” means harvest. Cosecha 146 is offered in five sizes: La Musica, measuring 5 inches by 50 ring gauge; La Vega, 5 1/4 by 52; San Luis, 5 3/4 by 54; San Agustin, 6 1/4 by 52; and Monte Carlo, 6 by 58. Cosecha 146 comes in boxes of 20 and retails between $11 and $14 per cigar. The cigars are made at the Plasencias' Tabacos de Oriente factory in Honduras. The family plans to set aside harvest-specific tobacco for new Cosecha releases in the future.